Nobody likes having to follow rules. In any major organization – be it in the private or public sector – there are lots of rules and regulations to follow. The bureaucracy associated with rules can sometimes feel crushing, and compliance has become an industry unto itself. Countless hours in the professional world are spent on regulations training, enforcement and documenting compliance. Of course, rules and regulations exist because someone, at some time, did something unethical, or at the very least, someone at some time imagined a world in which someone would do that unethical thing. Organizations certainly need rules, or something that keeps stakeholders operating on the straight and narrow. There are so many past and recent examples of unethical choices. Funds are misspent. Personal information becomes publically available. Environments are harmed. And when people within an organization make poor choices, there invariably follows a cry for more rules and regulations. Compliance-based governance is one way to maintain proper functioning of a complex organization. Yet, compliance is regularly met with blank stares, nodding heads, and frustration over red tape. So is there a better way to ensure that organizations function ethically? We explore why people should care about ethics, if and how ethics can be explicitly taught, and how one cultivates an ethical culture within an organization. We think that it is important to recognize that rules and ethics are distinct. Adding more rules and regulations does not always prevent unethical choices and bad outcomes. Adding rules certainly increases bureaucracy. And rules are most often reactive rather than proactive; they originate as a response to unethical behavior, with normally punitive restrictions on action. 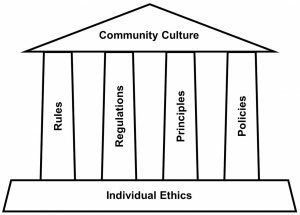 Importantly, missing from compliance and regulatory structures are the “whys”: the justification for rules that help community members understand why rules are ethically important (provided, of course that they are ethically important). Without such justification, individuals are apt to follow the notorious Capt. Barbossa of the Pirates of the Caribbean film series in believing that rules are “more what you’d call ‘guidelines’ than actual rules.” And nobody wants a community of pirates…except other pirates. Ethics education and training provides that important justification. And we know it works. There is a growing body of evidence that organizations and their members make better choices when they have explicit training in ethics. Note that this is not the same as learning about rules and compliance. Ethics training is about actively engaging stakeholders in thinking about how their actions impact others, both within the organization and in the broader communities in which they operate. Ethics education is about creating the space to think about the underlying justification for rules and regulations, and taking up that opportunity. 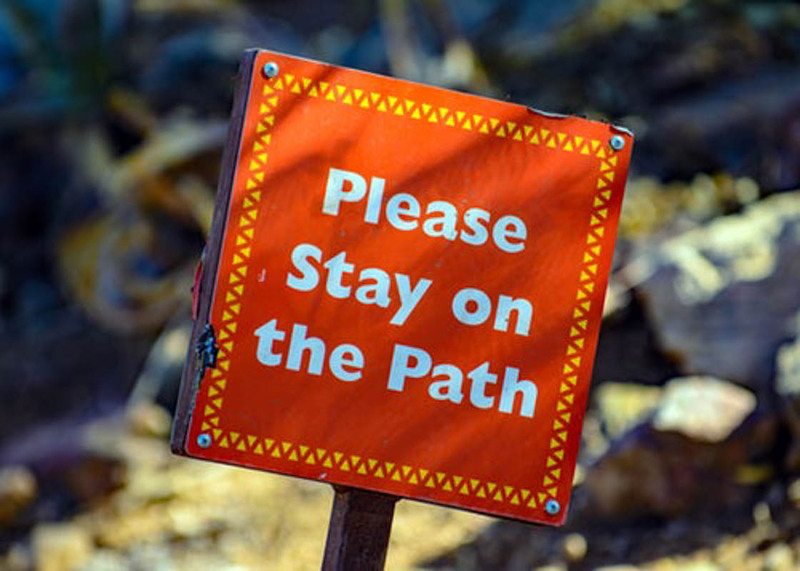 There is a growing body of evidence that organizations and their members make better choices when they have explicit training in ethics. Here is a concrete example: At the University of Central Florida, we want our faculty and students to engage in research ethically. We can and do talk about important rules – such as the strict prohibitions against plagiarism, falsifying information and fabricating data. But we also lead workshops, discussion groups and other modes of formative training that focus on the underlying ethics behind these rules. We are working to give each other space to think. Reviewing and discussing case studies is a particularly effective means for teaching ethics because participants can discover not only the sequence of events that led to poor outcomes (and more rules), but also the subtleties of how limited information, insufficient consultation or incomplete consideration of downstream impacts enables people to make poor choices. It is equally useful to consider cases in which people did the right thing, and sometimes made tough choices − that may not have led to short-term professional gains − yet which upheld high ethical standards and generated greater societal benefit. By shifting the emphasis in training from rules and compliance toward a focus on core values, the students, faculty and all participants can develop an innate recognition of the need to always operate ethically. This furthers the goals of UCF by cultivating a culture of ethical behavior that enables collaboration, sustains research and ensures that those outside UCF hold our products in high regard − particularly our main product, which is well-trained students. By thinking actively about the ethical underpinning of our work, we are cultivating a culture of ethical behavior that enables members of our communities to choose well, even when there are no clear governing rules. Engaging ethics encourages each of us to think about the culture of our organizations and how individual actions shape its integrity. It helps ensure that we are following the rules, because we know that they are encouraging us to do the right thing in the first place.